Who doesn’t love apples? They are one of nature’s perfect foods. We love going to the apple orchard in the fall and picking them right off the trees! Since it is winter here in Ohio, I purchase them from the market on a weekly basis. My girls love all kinds of apples, but especially the honey crisp and granny smith varieties. 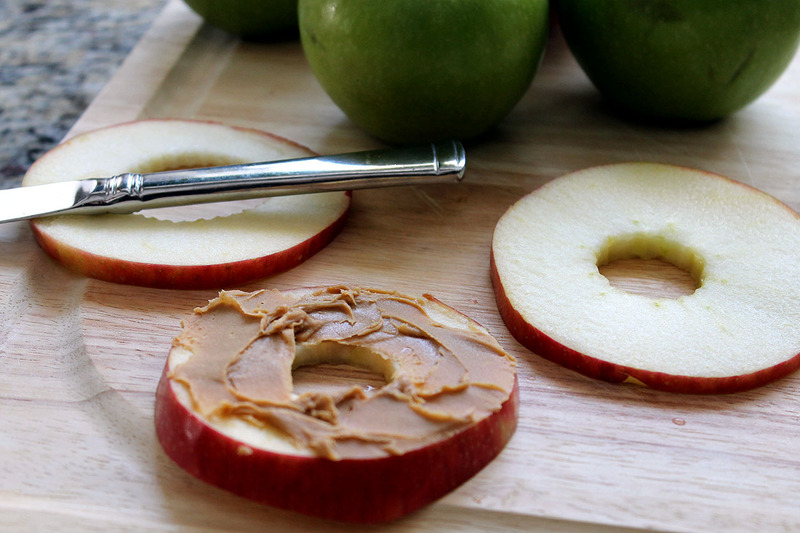 This is a simple snack idea to make using any variety of apple. 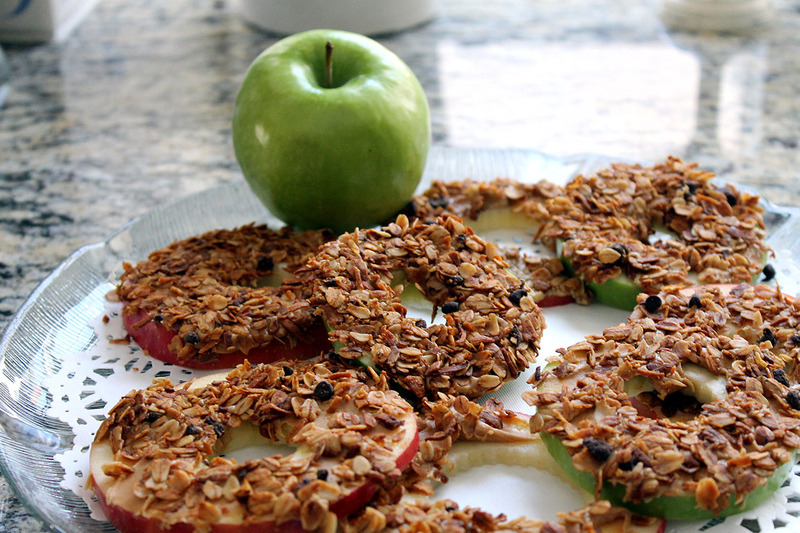 You will need three ingredients…apples, peanut butter (or almond butter works) and granola. 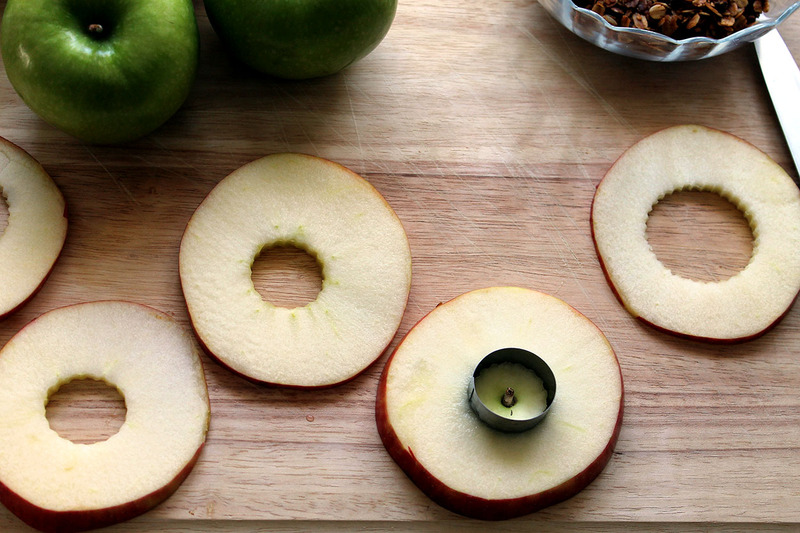 Just slice the apples horizontally into 4 or 5 slices, depending on the size of the apple. Then using a metal circular cutout, I take out the center part where the seeds are. 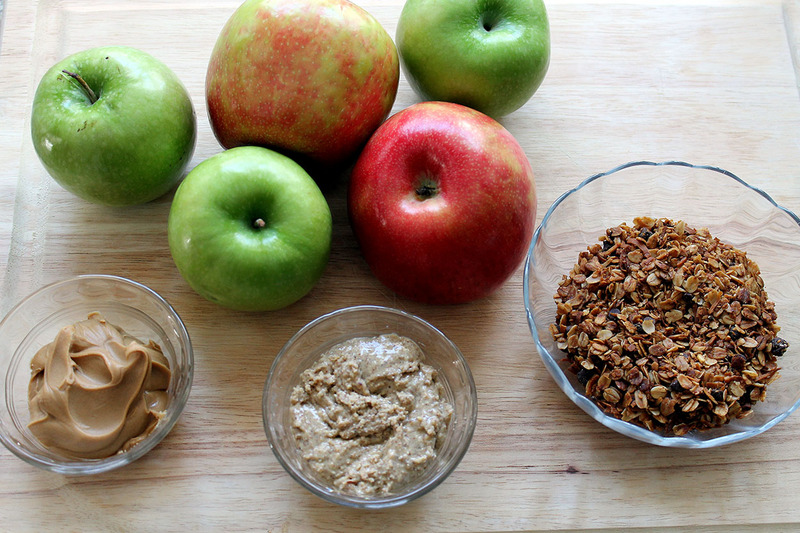 I spread the apples with peanut or almond butter, and then top them with granola. So the Daisy scouts are studying nutrition next week & it’s my turn to bring snack. Preferably healthy that they can assemble themselves. BAM – DONE!